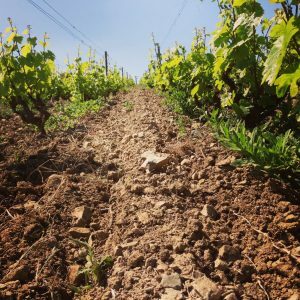 This week, we’re looking at one of the Beaujolais’ most widely-respected domains, listed in Bettane&Dessauve’s 2018 Top 10 producers of the year. This historical vineyard, situated in the Morgon appellation of the Beaujolais, has retained its identity, excellence and style, generation after generation producing authentic, structured wines with great ageing potential. 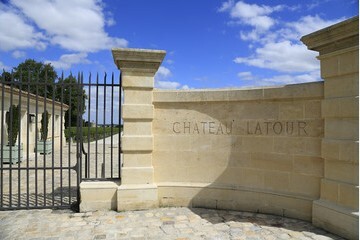 Situated in Villié-Morgon, domain Louis-Claude Desvignes is made up of an 18th century house and a 17th century vaulted cellar where the wines are left to age. As is often the case in the wine world, it all began with one family. No less than 8 generations have succeeded each other other since 1712. The latest pair are the bothers Claude-Emmanuelle, who took over the running of the domain in 2001, and Louis-Benoit, who joined him in 2004. Together, they took over from their father, the emblematic Louis-Claude Desvignes. While Claude-Emmanuelle manages the administrative side of things, his brother spends more time in the vineyard, but they take all the important decisions together, including those regarding vinification. Their father is still present on the domain and keeps a close eye on the future on the family-owned property. It seems as though the passion has been passed on with each generation. The two brothers and sisters all seem very attached to their region: “A region that is part of us, that is unique in its joviality, simplicity, but a region which also has a lot of personality, unbelievable terroirs and and a bright future, given the attention it’s receiving…” […] Beaujolais in general, including Morgon, is a loyal friend. It will stay with you through thick and thin.” Thus reads their introduction to the domain. The vineyard is spread over 13 hectares in the Morgon appellation, split between Douby and Côte du Py (5 hectares). The clay soils are rich, impregnated with iron oxide, schist and disintegrated igneous rocks. Given the age of the vines – on average 70 years old –, yields are naturally low: at around 35hl/hectare, pruning is unnecessary. ”In 2005, we stopped using chemicals and began working following organic principles. It was our priority, and our first area of work when we arrived at the domain. It was both a matter of respecting our terroir and our health. Recently, we decided to gain apply for certification, in order to be more transparent with our customers.” Claude-Emanuelle explains, even adding, “ideally, it should be made obligatory for the Morgon AOC – and more widely other appellations – to be certified organic!” All of the soils are ploughed with the help of small tractors and, when necessary, by hand. The grapes are meticulously sorted, on the vine then on the sorting table. In the winery, traditional vinifications are carried out parcel-by-parcel, often with whole bunches of grapes, or sometimes slightly destemmed (maximum 50%). 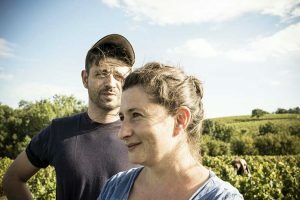 The two winemakers like to leave their mark on the wine, to obtain the personality that they’re aiming for (using selected yeasts, unballasting, aeration), and to work on the texture and substance of the wines. For some cuvees, for instance those like Les Impenitents, destined to be aged in the bottle for a long time, they push the extraction of juices in order to give more structure to the wine. The vatting period lasts for between 10 and 15 days, and the wines are unballasted 3 times. 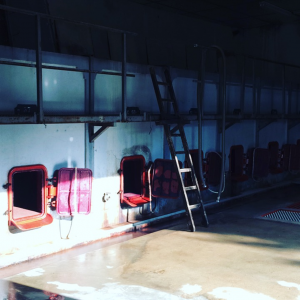 The wines are matured in concrete vats on fine lees for around 10 months, which is quite long for this region. The wines are then lightly filtered before being bottled. Although the domain isn’t natural, they limit the use of Sulphur, adding small amounts only at vatting and bottling. The iDealwine team regularly tastes this domain’s wines and we thoroughly recommend them! They offer just about everything you would expect from a great Beaujolais: delicious fruit notes, silky and delicate texture, but also a lot of substance and personality as well as density and structure, giving them great aging potential. We truly enjoyed speaking with the winemakers, whose friendliness and approachability only added to the pleasure we had in tasting the wines. 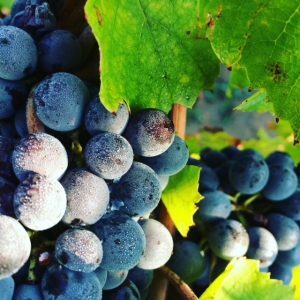 Want to try the wines with the iDealwine team? La Voûte Saint Vincent comes from Douby. It is a fruit forward wine with plenty of character. The nose boasts aromas of raspberry, cherry and blackberry while on the palate it is rounded with pleasant acidity and a good, long finish. This cuvée pairs well with white meat. This wine, produced with top-quality grapes bought from other producers, is an excellent, truly delicious cuvée. With slightly tart fruitiness, this wine is at once dense and silky. This Côte du Py Morgon is a beautiful cuvée with good ageing potential. It has aromas of liquorice and on the palate it has good density, fruit and delicate tannins. Les Impenitents is a Morgon which comes from 60 year old vines. It is matured in cement vats for 17 months. The nose offers aromas of red fruit, blackberry and black tea. In the mouth it is smooth with good tannins. The Domaine Louis-Claude Desvignes is situated in the commune of Villié-Morgon in the Beaujolais. The domain is made up of an 18th century house and vaulted cellar that dates back to 1722. It’s possible to visit this historical part of Beaujolais and taste the domaine Louis-Claude Desvignes’ wines by appointment. The domain has been in the same family for eight generations. 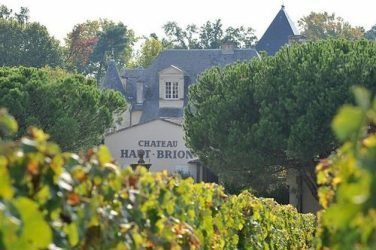 Situated in the Morgon appellation, the domain has been producing wines of pure Gamay since the Middle Ages. 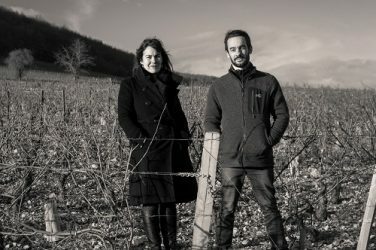 Claude-Emmanuelle and Louis-Benoît represent the eighth generation of winemakers at this domain, having taken over from the emblematic Louis-Claude Desvignes. The style of the wines has proven to be uncompromising: their identity and sophistication wholly showcasing the cru’s various terroirs. The soil is tilled. Each parcel is vinified separately, and the sorting of grapes is very strict. Given their traditional vinification and long élevage over the course of two winters, these wines will need time to slowly evolve in the bottle. If you have the chance to taste the 1976 and 1991 vintages you will understand the domain’s philosophy. The wines: they were very coherent in 2015. In such a sun-drenched vintage, the management of the grapes’ maturity and the balance is spectacular. La Voûte Saint-Vincent is a touch oversized compared to its usual substance, however it gives us a great deal of pleasure. Côte du Py is superb, with its notes of pepper and blackcurrant and dazzling fruit. On the palate, it has wonderful scope, with its trace of graphite to tighten the wine up, and accomplished tannins. Javernières has a slight advantage over the others this year: its fruit is almost coulis-like, offering a nice amount of concentration. Les Impénitents is truly excellent, with a substance that is at once dense and silky: an essential bottle for your cellar. Elevage in concrete really pays off in this sort of vintage: the wines are not too heavy and are well-balanced on the palate.